The Osho Life Essentials series focuses on the most important questions in the life of the individual. Each volume contains timeless and always-contemporary investigations and discussions into questions vital to our personal search fo rmeaning and purpose. 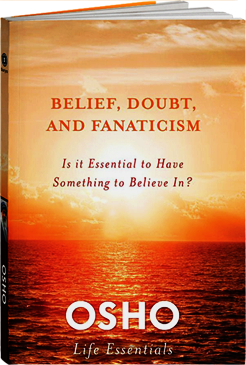 The Osho Life Essentials series focuses on questions specific to our inner life and quality of existence, for example: Is it possible to have an authentic spirituality without a belief in God? What is meditation and how does it work? What can I do as an individual to make the world a better place?